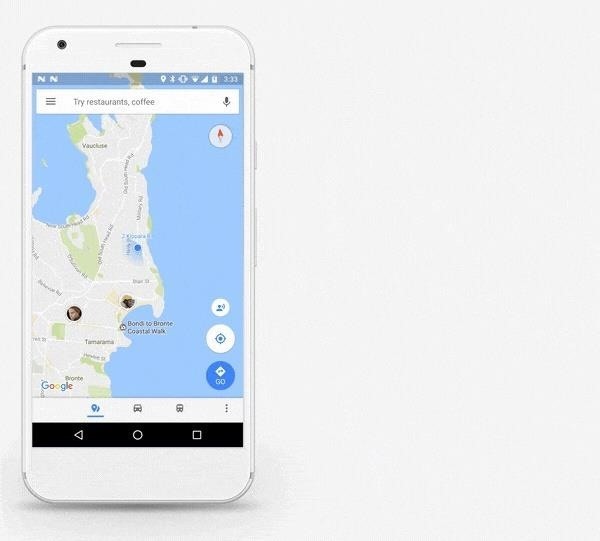 Google Maps now allows users to share their location in real time and update their friends and family on their location and estimated time of arrival when making a trip. Location sharing on Google Maps is rolling out soon worldwide, and you'll be able to quickly let your friends and family know where you are and when you'll get where you're going. The answer to 'where are you?' is only a tap away. When you're sharing your location, the people you've chosen to share with will see you on their map. And you'll see an icon above the compass on your own map reminding you that you're actively sharing your location. You can change your mind and stop sharing at any time—it's entirely up to you. For everyone who is consistently late, the update also lets you to share your "trip progress" with chosen contacts by tapping the "Share Trip" option. This shows selected friends your expected time of arrival, as well as your progress, so no stopping for coffee on the way. However, some people are squeamish about location-sharing. In an effort to address these concerns, Google will remind users who exactly has received their location information in an email. However, Ben Greenwood, a product manager for Google Maps, told Reuters that this was "not a new concept." He said "This is about making it simple, accessible and giving users a lot of control and privacy." If you haven't downloaded Google Maps, give it a try on iOS and Android.